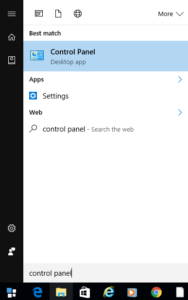 Type Control Panel shown as above and click it to open. 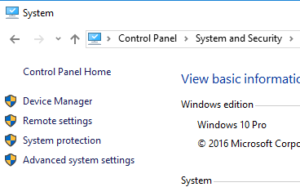 Click on System and Security and then System. 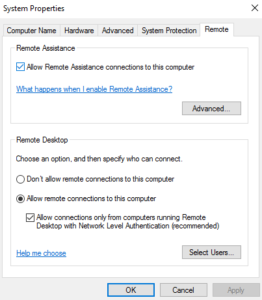 In Remot Desktop section, click on Allow remote connection to this computer radial. Click on Select User… to add an account for others to log in remotely. 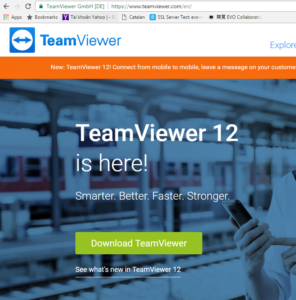 Teamviewer – A small but powerful remote desktop application. 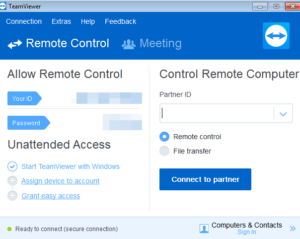 To the left in the program, you will be assigned a Teamviewer ID and password. Give the ID and password to whoever that will be logging in. 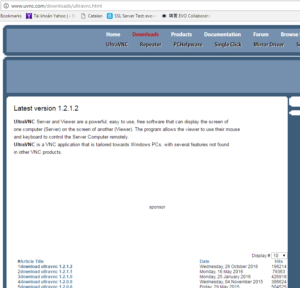 VNC – Virtual Network Computing. There are several versions under GPL. 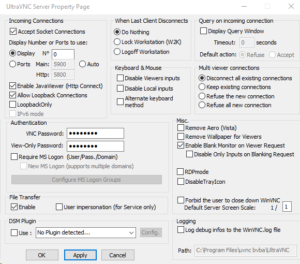 Install UltraVNC Server mode on server PC. 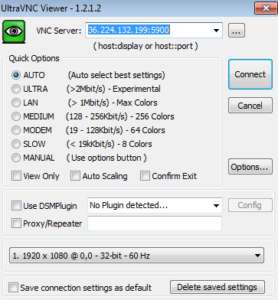 Install UltraVNC Viewer mode on viewer PC. On server PC, if Windows Firewall and/or NAT exist, open port 5900 or your assigned port (5900+n) within Admin Properties. On viewer PC, run UltraVNC Viewer. Enter server PC’s public IP or computer host name + port number, such as IP:5900 or host.youdomain.com:5900 and click on Connect.